5 ml- 50 ml: 15-18 strokes per min. 50 ml-500 ml: 10-12 strokes per min. 100ml- 1000 ml: 8 strokes per min. Leveraging on the skills of our professionals, we are involved in offering best quality of Jam Filling Machine. 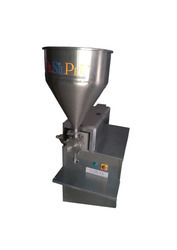 The offered Jam Filling Machine is highly appreciated among the clients due to its quality and durability. Further, the offered products are available in the market at most reasonable rates. 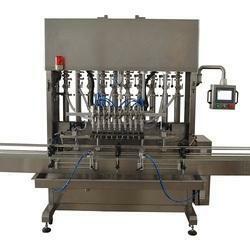 the jam filling machine is high precision filler meant to dispense jam product into bottles/jars. - Worm Feed type R.P.F.